A black bear walks near Taylor Bait Pond in Orono. — 1770: First bounty payment. — 1931: Classified as game animal; bounties paid in some portions of the state. — 1957: Bounty on bears repealed. 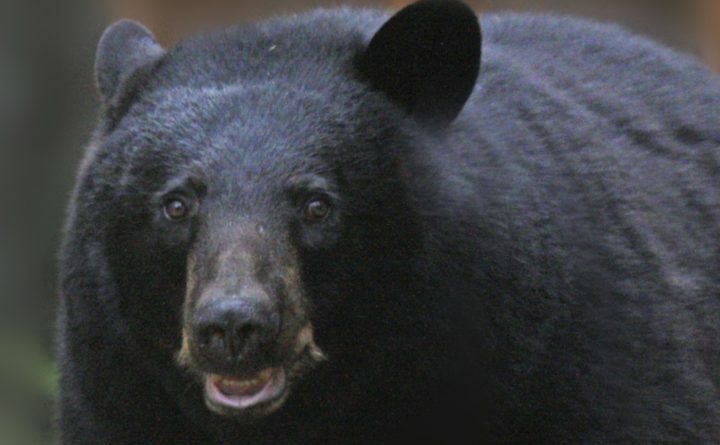 — 1963: Mandatory reporting of harvested bears. — 1975: Telemetry study initiated. — 1980: Emergency closure of hunting season because the harvest was projected to exceed the goal. — 1982: Fall-only season with bait, dogs and traps permitted during the entire season. — 2006: Passamaquoddy spring bear hunt initiated on tribal lands. — 2009: Penobscot spring bear hunt initiated on tribal lands. — 2011: Bag limit increased to two bears per hunter per year, with one taken by trapping, and one taken by hunting; hunters required to submit a tooth from harvested bears.